provides a framework for the school and its community to collectively support the wellbeing of every student. At CWSC, Positive Behaviours for Learning forms the foundation of our values program. 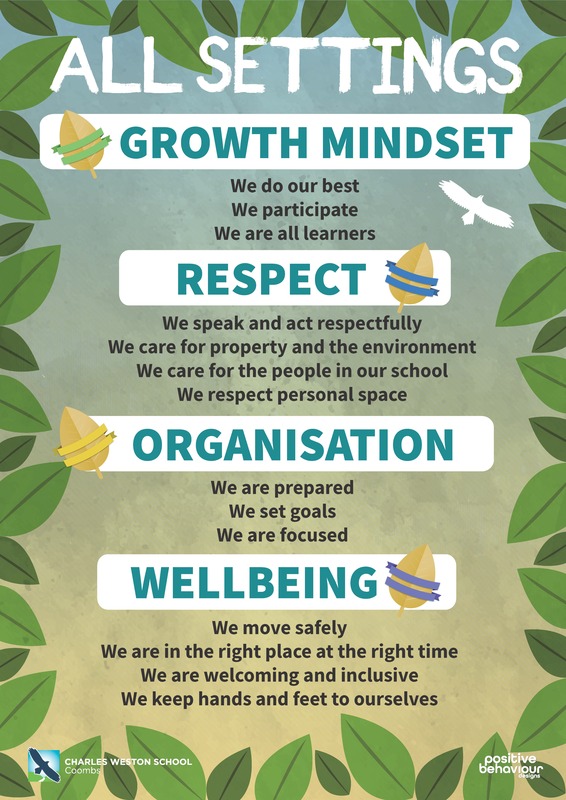 Students and staff work together to determine the values of the school and the behaviours which demonstrate this are explicitly taught in every classroom. Through this approach, all members of the CWSC community share a common language and understanding. Our PBL is guided by our GROW acronym. Expectations for behaviour in all settings will be based on these 4 values. Social and emotional learning is the process of developing and practising important social and emotional understandings and skills. At CWSC, this program will be tailored to support the development of a new school community and establish strong and positive connections between the school, students and their families, and the wider community in Molonglo. The video below gives a quick introduction to PBL.